Elites that have traditionally maneuvered between Colombia’s legal and illegal economies are behind many of the killings of the country’s social leaders, according to a leading judicial expert. Camilo Bonilla of the Colombian Commission of Jurists led a group of 11 organizations that analyzed the staggering increase in homicides and came to the conclusion that masterminding many of the killings are “individuals and families belonging to certain sectors of political and economic power who have historically passed between legality and illegality and who feel their privileged position threatened, and therefore turn to armed groups to maintain that position,” he told newspaper El Espectador. According to Bonilla, the 2016 peace deal between the FARC and the State threaten the interests of families and clans that have long been obtaining power through both legal and illegal means. The full implementation of the Agreement implies social transformations that put at risk the role and hegemonic position of certain power structures that, as I pointed out above, move between legality and illegality. These structures, in their despair, turn to armed structures to neutralize attempts at social transformation. Who is carrying out the killings? The judicial expert compared today’s violence targeting social leaders is similar to what happened in Colombia in the 1980s and 1990s when paramilitary groups, supported by ranchers, businessmen and Colombia’s so-called “narco-elite” all but exterminated the leftist Patriotic Union party. The rise of groups that have historically been linked to crime and that have penetrated some political parties may increase the risks of violations of human rights and the restriction of fundamental freedoms. 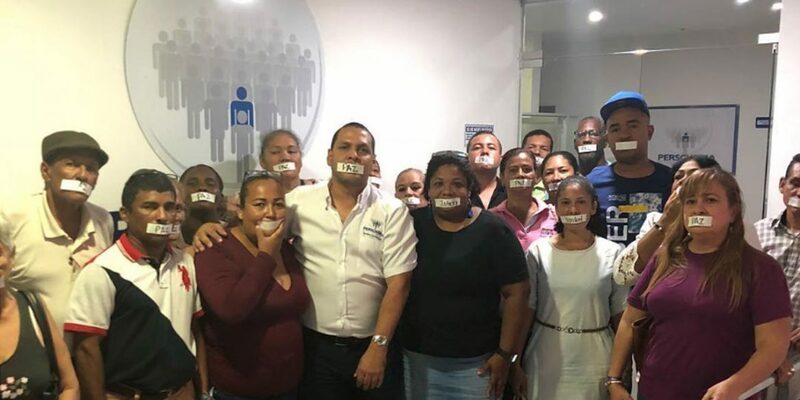 The excessive violence is partly due to stigmatization by these powerful elites, and their representatives in politics and media that publish or broadcast these stigmas without addressing their inaccuracy, according to Bonilla. The investigator cited examples of both Colombia’s current Defense Minister, Guillermo Botero, and his predecessor, Luis Carlos Villegas, who instead of addressing the violence, respectively accused social organizations of having ties with organized crime and being killed over extramarital affairs. Such statements are often replicated by some media in what ends up being a biased and tendentious handling of information: they consult a source that is generally favorable to those in power, while leaving out other sources like, for example, friends, family members, or partners of the victim. Bonilla warned that the upcoming elections, in which multiple political parties that seek to challenge the status quo that has benefited these elites, including former FARC rebels, could further raise the already terrifying levels of violence against leaders. This was confirmed by electoral observers who said that in the last 72 hours of January two mayoral candidates were assassinated.